Janasena chief Pawan Kalyan today reached Bhimavaram to file his nominations. His helicopter landed at B Vishnu Raju college and the college staff gave him a grand reception. Later Pawan Kalyan held a public meeting at Bhimavaram. 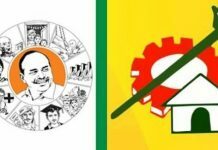 During his speech at a public meeting, he sharply criticized TDP MLA Pulaparti Anjaneyulu and YSRCP contestant Grandhi Srinivas. As usual, Pawan got a thunderous response from people. Pawan Kalyan recalled that his grandfather did as a postman and his father started his career as a constable in the same district. He told that they earlier had 3 acres of land in the district but they had to sell the land because of financial issues at that time. He also told that, during PRP, he didn’t ask Chiranjeevi or any other leader for a ticket but he requested them for a ticket for Kanakarajau Suri. He added, unfortunately, Kanakaraju Suri could not win. He urged people to vote for him this time and make him Bhimavaram MLA. 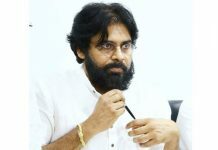 Pawan asked people a simple question – “How many of you believe Pulaparti Anjaneyulu will develop Bhimavaram constituency if elected again”. The answer was BIG No from all the people. 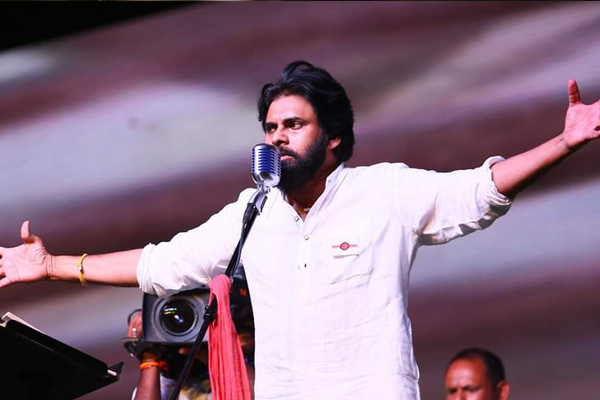 Pawan then told that, if Janasena wins here, he will do more development works within 6 months than what Pulaparti has done in the last 5 years and what he can do in next 5 years combined. Also, he asked people to give retirement to CM Chandra Babu Naidu who is growing old. Pawan told YSRCP chief Jagan colluded with KCR. He told when Jagan wanted to contest in Telangana elections, KCR pelted stones on him and told Telangana doesn’t need politicians like Jagan but the same KCR is now forcing Jagan on AP people. Pawan commented that Grandhi Srinivas is not YSRCP candidate but he is TRS candidate. He also told that even though West Godavari district has political rivals there were never hired rowdies and hired killers here and urged people not to let goondas of Pulivendula to enter the district. He assured people that he will resolve the dump yard issue that is pending for decades. He told he will allot 100 acres of land separately and move the dump yard. He also told that because of aqua companies, water is highly polluted here and he will lay separate pipeline and provide water from Vijjeswaram to Bhimavaram. We will have to wait and see what will be the result. 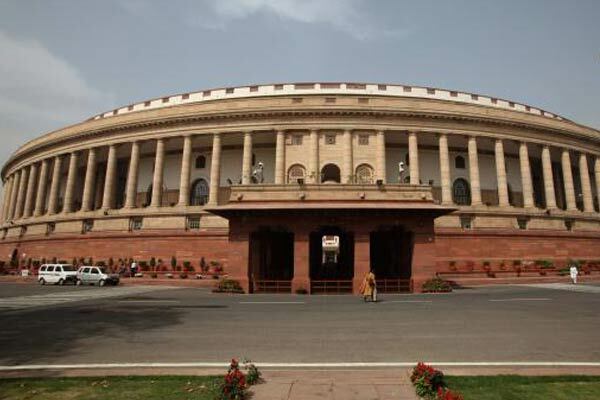 Previous articlePurandeswari violated NTR code of self-respect?